The Voyageurs’ Lodge and Cookhouse is a happenin’ place. Music shows, art festivals, motorcycle rallies, firework displays on Canada Day, outings with the voyageur canoe, interpretive presentations and much more happens all summer long. Check in with the lodge staff to see what great event is coming up next cause there is always something happening at the lodge. 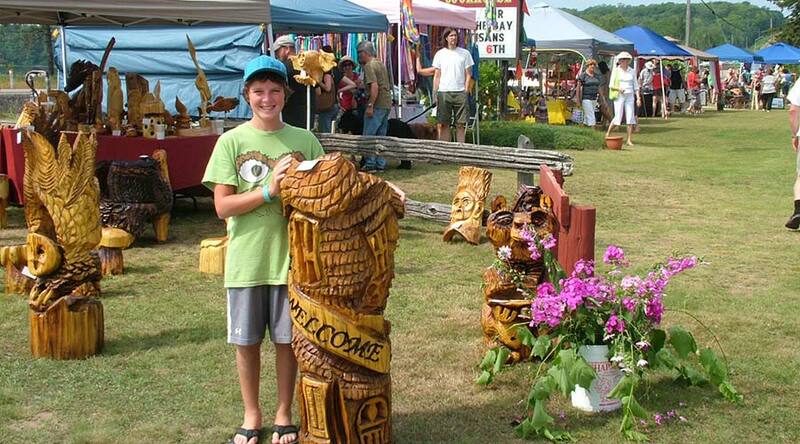 32 artists from across the Algoma have their artwork on display for sale, including paintings, woodcraft, jewellery, photography and pottery. The biggest show on the shore! 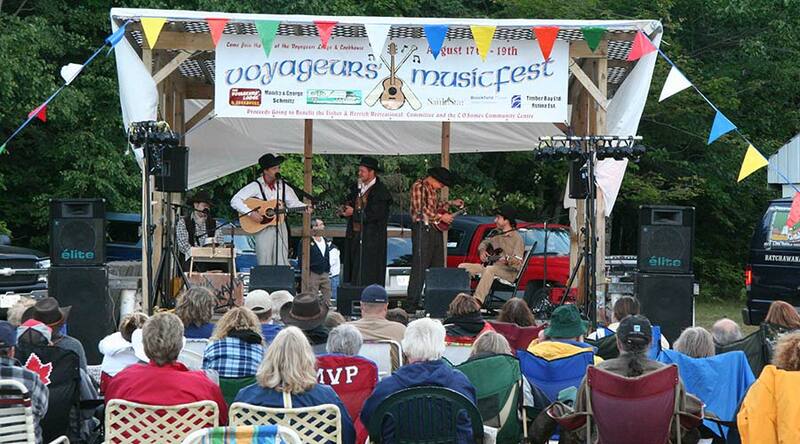 The Annual Voyageurs’ Musicfest is a night of music on the shores of Lake Superior, in Batchawana Bay.